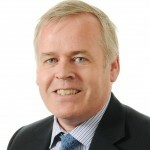 Geoffrey Podger has been Chief Executive of the Health and Safety Executive since November 2005. Since graduating from Oxford University in 1974, Geoffrey has worked for three Government Departments, two international organisations and three British agencies. In particular he worked extensively on a range of issues for the Department of Health in London. He was chosen in 2000 to be the first Chief Executive of the UK Food Standards Agency and in 2003 as the first Director of the European Food Safety Authority. Geoffrey was awarded the CB in 2003 and is Honorary Vice President of IOSH, an Honorary Fellow of IIRSM and a Companion of the Chartered Management Institute.